Everyone eats in the bathroom. Oh wait they don't? Okay, well at the Attendant, it's considered okay to do. 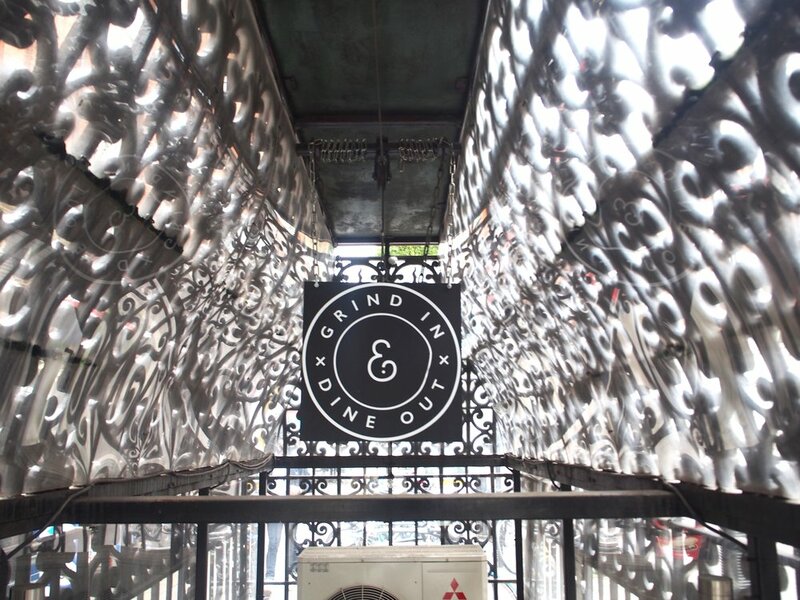 The cafe, located in Soho, is actually within an old Victorian bathroom, so you have to head underground into a narrow room before seeing the place. And the bathroom theme doesn't stop there. Fancy dining within a wash basin? 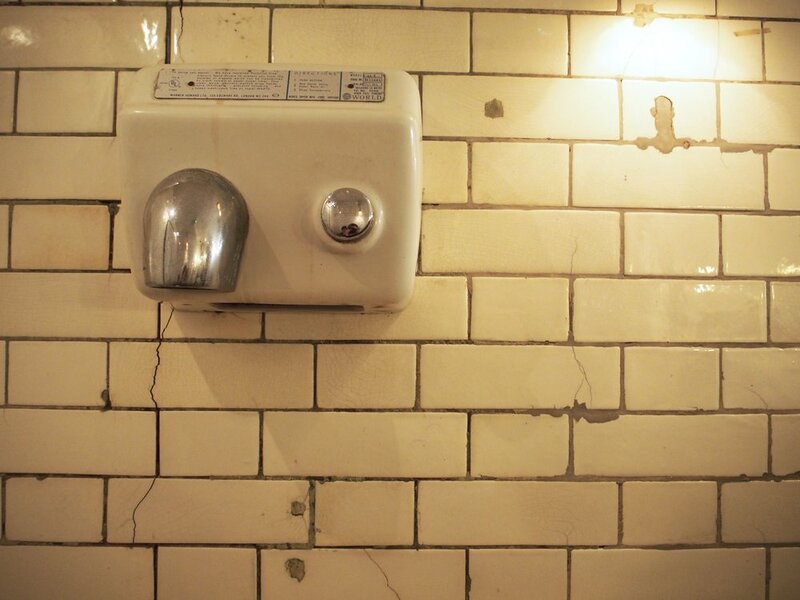 It's not as disgusting as it sounds, but using basins, hand dryers and brick walls synonymous with public restrooms, it's actually (surprisingly) tastefully done. If I haven't convinced you yet, then good god the food will. London was made for brunch, and whilst the standard avocado and bacon on sourdough toast is the usual feast to choose (and absolutely delicious here of course) I went for what looked like the most elegant and fanciest brunch I've ever seen. Called the Middle Eastern, it was falafel, aubergine, and the most amazing touch of flower petals and Bloody Mary jelly. Have you ever seen anything so pretty at 11am in the morning? It also tasted divine, as the falafel was nicely spiced, aubergine not slimy at all and the Bloody Mary jelly I could eat all day for a hit of tomato and vodka. And the snacks were just as yummy, going for a chunky nutty cookie that was vegan, as well as some huge protein balls and mini salted caramel brownies. With the friendliest and smiliest service, it's a weird experience for sure, only further proven by being able to draw on the walls before you leave as many others have taken advantage of. It wasn't even that busy for peak Saturday brunch time and had a lovely ambiance of mothers with their daughters, young stylish millennials and some hungover men hunched over their phones. But if you want a slightly different take on a brunch (as well as somewhere that caters to many food intolerance/lifestyles) then the Attendant is just a hop and a skip away from the main Oxford Circus strip. They also have a branch in Shoreditch not in a bathroom, but surely that's half the fun?